Our members are actively involved in both Cruising and class Racing activities. Racing activities usually occur during the annual State Titles held in Corio Bay, Victoria. 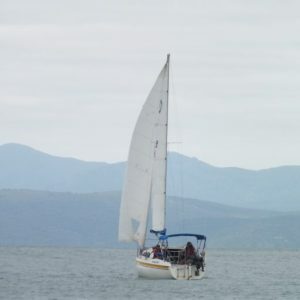 The Sonata Yacht Association of Victoria is affiliated with Yachting Victoria, who represents most, if not all, Sailing Associations and Yacht Clubs in Victoria.The Sonata Yacht Association of Victoria caters for all yachts built from a number of “Sonata” hullshapes. These comprise; Sonata 6, Sonata 6.3, Sonata 6.7, Sonata 7, Sonata 8, Sonata 26, Southern Cross & Northwind 7 yachts.